TIME recently released a list of the top 25 cities where millennials are moving. Among the major hubs listed — like Austin, Los Angeles and New York — was Tampa alongside St. Pete and Clearwater. The area experienced a 3.6% increase in millennial population since 2010 — roughly 2,171 residents. “Nationally, 21% of 25-to 34-year-olds lived in cities in 2015, and 73% lived in suburbs — a ratio that is unchanged from 2010,” reports TIME writer David Johnson. What makes the Tampa Bay area such a millennial magnet? 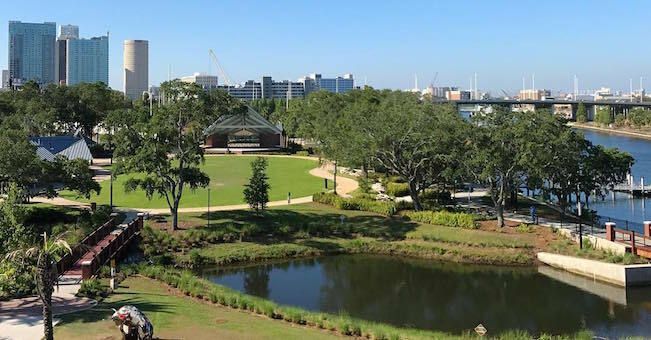 An increase in high quality restaurants, a thriving arts and entertainment scene, and access to top notch museums play a significant role in Tampa’s allure. Add in an nationally renowned university right next to downtown and you have a city beaming with potential. New apartment towers are rising daily. The emergence of indie markets in Tampa, St. Pete and Clearwater offer the chance for budding entrepreneurs to showcase their craft and carve out a place for themselves in the Tampa market. The craft beer industry is also booming in Tampa Bay. The recognition the city has received due to its premier brewers (i.e. Cigar City, Coppertail Brewing, New World Brewery) has helped draw visitors-turned-residents. The new businesses have added variety to Tampa’s booming job market. From Tampa International Airport to The Hall on Franklin, major businesses are looking to attract the top talent from around the world. Incubators like Tampa Bay Wave help nurture and mentor startups while providing a space to network with fellow entrepreneurs. The city is also the destination of choice for sports fans. The Super Bowl, Gold Cup, NHL All-Star Game and Final Four will all be played here in the coming years. Earlier in 2017, Investopedia noted that Tampa has one of the nation’s healthiest housing markets. That same week, Forbes included Tampa in a list of cities with strong startup cultures. New Town Connections will together millennial thought leaders along with Jeff Vinik to discuss all the development going on in Tampa during the first annual Millennial Impact Forum. These thought leaders offer a wide variety of perspectives including community, transportation, infrastructure, technology, health and wellness, and government. The panel includes Rena Frazer (Hillsborough County State Attorney Office), Mike Griffin (Greater Tampa Chamber of Commerce), Tim Moore (Diamond View Studios), Sing Hurt (owner, Anise Restaurant), Erin Aebel (partner, Shumaker, Kendrick, & Loop LLP), Andrew Machota (owner, New Town Connections), Cesar Hernandez (government relations, HART) and Jeff Vinik (owner, Tampa Bay Lightning). Doors to the event at Amalie Arena open at 5pm. Tickets are $35 plus fees. Of course, you’d like a gateway into the next generation of innovators in Tampa, you can always visit Tampa Bay-preneurs Facebook community.